Hereford and Worcester Moths: Mullein caterpillars again. Once again we have Mullein moth larvae on our garden Verbascum, it has happened many times over the years and yet I have never caught an adult moth in the trap, indeed, I have never seen an adult Mullein anywhere. Hi Patrick, Seeing your post reminded me that I had seen the larvae on one of my Buddleia bushes last year and was hoping to see the adult this year. I have just checked the bush and quickly found 3 larvae in a much more advanced stage than yours so I've probably missed the boat on the adult again this year! 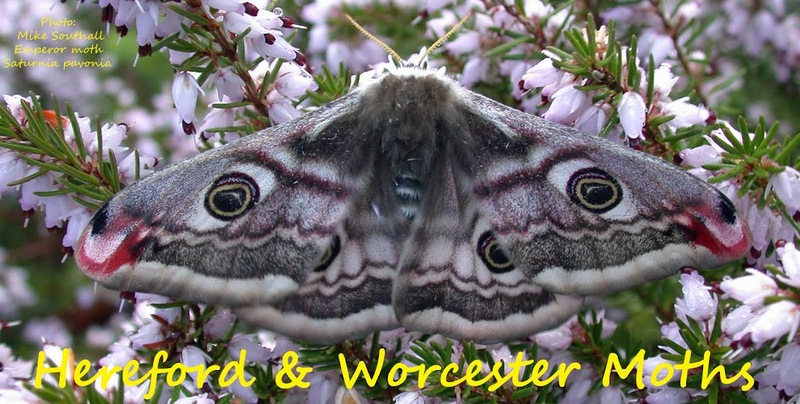 You regularly see reports on facebook etc of the adult going to light so there is hope that we will one day be lucky enough to see the adult but I have also spoken to other mothers who have had the larvae in their garden and never get the adult. I will continue to live in hope. It's just a matter of being patient Patrick. I've just checked my own records and I've had the adult - to MV light - 5 times in my lifetime, the latest was when I was renting in Little Cowarne back in 2014. 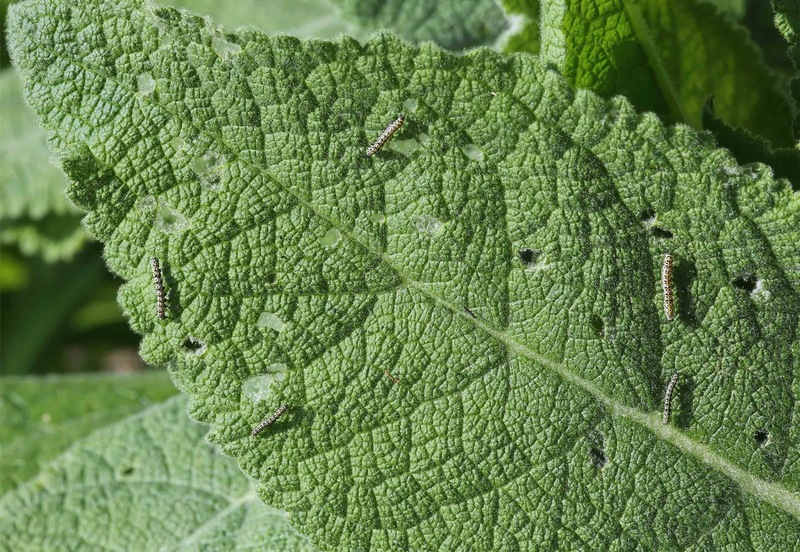 And thanks Pete, you prompted me to look at my Verbascum thapsus plant and I counted 3 larvae on it.